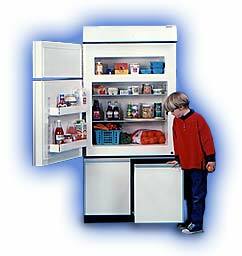 These refrigerators and freezers are our largest models, and all have two equal sized compartments. The Sun Frost RF12 is a single compressor refrigerator freezer with a passive (no fans) cooling system. For convenience it is typically mounted on a 24" high cabinet. The matching cabinet made by Sun Frost has two large side-by-side drawers. The Sun Frost R10 and F10 are the same width & depth as our larger models but are shorter, and for maximum convenience would require a higher base cabinet. 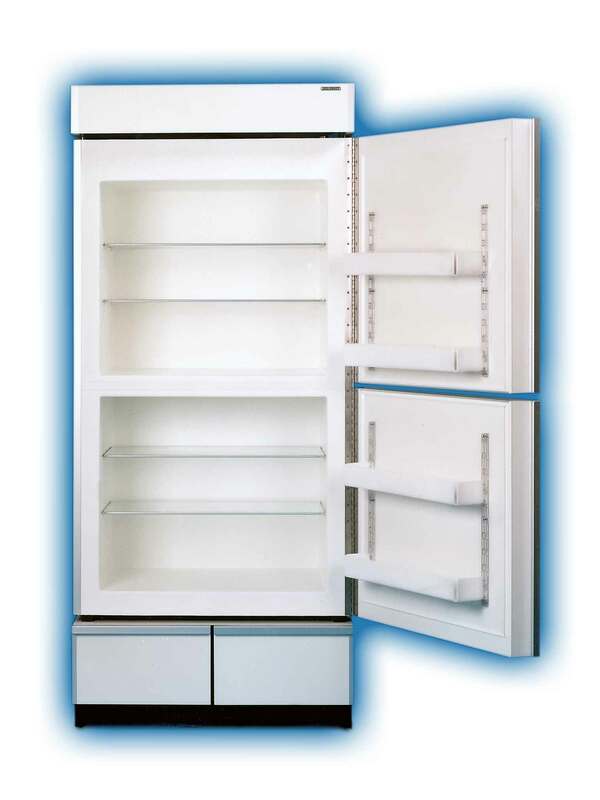 The R10 is a refrigerator-only unit and the F10 is a freezer-only unit. 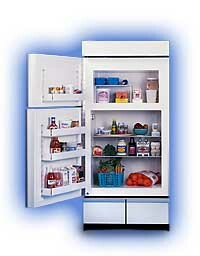 The Sun Frost RF4, R4, and F4 are our smallest refrigerators and freezers. Like the R10 and F10, they have the same width and depth as the larger units. The RF4 consists of a refrigerator with an ice tray freezer section. The R4 is a refrigerator-only unit, and the F4 is a freezer-only unit. 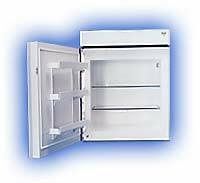 For convenience, these units would require a higher base cabinet, or they could be placed on a countertop. Our 4 cubic foot models are also ideal for use in bus conversions, boats and RVs.